GE Healthcare recently launched a new website that encourages cancer patients to ask their medical team the question “Is My Cancer Different?” in order to ensure that they are given information about advanced diagnostic testing that may help them in their decisions on how to treat their specific cancer. The site includes videos, downloads and very simple to understand information on the evolution of targeted and genetic molecular therapy cancer treatments. It features cancer experts who speak in laymans terms so that the information is very easy to follow and understand. There’s also a glossary of terms which will be helpful as you’re navigating your way through your treatment options. 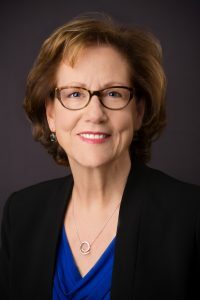 After I was diagnosed, I was very lucky to quickly meet with my hospital breast cancer coordinator who told me about the Oncotype DX test, which is helpful for women who have early (Stage 1 or 2), node-negative, ER positive breast cancer. The Oncotype DX test looks at a sample of your breast tissue to analyze the activity of 21 different genes and then provides a report on the likelihood of your breast cancer recurring, as well as whether or not you would benefit from chemotherapy. It’s exactly the type of personalized genetic test that the site www.ismycancerdifferent.com will help you understand and explore. When I received my pathology report, it showed that my breast cancer was Stage 1, ER and PR Positive, node negative, and Grade 3. The Stage of breast cancer is based on the size of the tumor, whether it’s invasive or non-invasive and whether or not it has spread to your lymph nodes. The Grade of a tumor is based on how abnormal the cancer cells look under a microscope and how fast they are growing. My cancer had been found early (Stage 2) and had no lymph node involvement, yet had a high Grade, which meant it was agressive and showed highly irregular growth. Because of this there was some question about whether or not I was going to need chemotherapy or not. So I elected to do the Oncotype DX test to help me in my decision about whether or not I was going to do chemo, and what type of regimen I should follow. The results of my Oncotype DX test were disturbing, but ultimately beneficial. I scored a 36 out of 50 and had a 24% chance of recurrence. It was very clear to me after receiving these results that I absolutely needed to proceed with chemotherapy. I also recognized that I was going to need a more agressive regimen than I had originally hoped for. While I wasn’t happy about any of this, I felt very solid and sure in my decision to proceed with the chemo regimen I eventually followed because I had the added benefit of the results from the Oncotype test. The fact that this test was based on my specific tumor and my 21 different genes, made the results and the treatment path much clearer for me. I was very fortunate to have learned about the availability of the Oncotype DX test from the breast care coordinator at my hospital. But not every hospital has someone quite as wonderful as Pam to help you navigate the system. 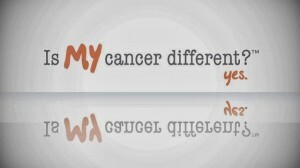 The site www.ismycancerdifferent.com can be a very helpful resource for anyone trying to navigate through their own cancer treatment options. The more informed you are, the better your final outcome will be. It’s very important to be an informed patient; it’s critically important to your eventual well being to learn all that you can about your treatment options. This site can help. Very clear and helpful, Claudia–I remember you describing all of this to me. I think if I had cancer, I’d want to know exactly what it was I was dealing with. My story is very similar to yours, everything the same except my Oncotype DX number was 39 and my cancer was estrogen positive only. I too did the chemo and I wouldn’t have thought it necessary without the test being done. I am very thankful that it was an option for me in my decision making process of treatment. We’re so fortunate to have been told about Oncotype DX. I’m so glad that you were able to access it so that you could make the best decision for your treatment options. Thanks for reading! I was looking for something like this and now you gave me the answer. This is really great. It’s really appriciated your post, thanks for sharing here.